It suggested using regular pencils but I knew that would lead to a lot of sharpening. That brought up new issues I didn't want to deal with! I was hoping to use the big fat primary pencils but the sleeves for the pencils were a little to slim. I, therefore, settled on mechanical pencils. I know many people frown on them in classrooms, but it does help to give a lesson on how to use them. I don't have any issues with them in my room. I made the pencils pretty obnoxious with large flags made from duct tape and their numbers put on each one. Not attractive, but it works! This has saved me so many headaches and a lot of money in the long run. I have been using this system for two months now. I have only refilled the lead in one pencil. 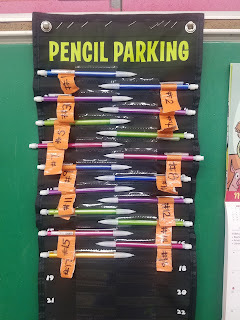 My students have also been working on their manners in asking to get their pencils from pencil parking. It's really amazing how having such a simple thing taken care of can ease so much stress! 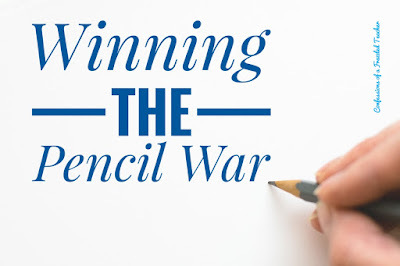 Have you won the Pencil War? I use pencil bags and each student gets 8 pencils. In the first few months I collect them every week. If they have 8 pencils, I give them a small treat (little erasers are great,party supply stuff). If they don't have 8, no treat, but I make it up by giving them a pencil from the discard pack. (all the old pencils with no eraser, yup I hoard those). It's worked great! No sharpening during the week, and it really makes them responsible, and I've noticed they are not eating their erasers either! 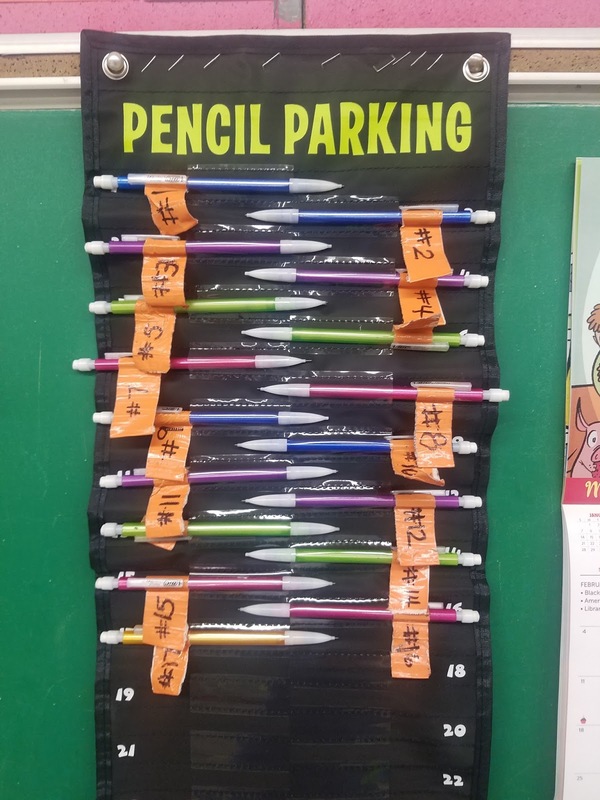 I saw this idea and tried it at the beginning of the school year. 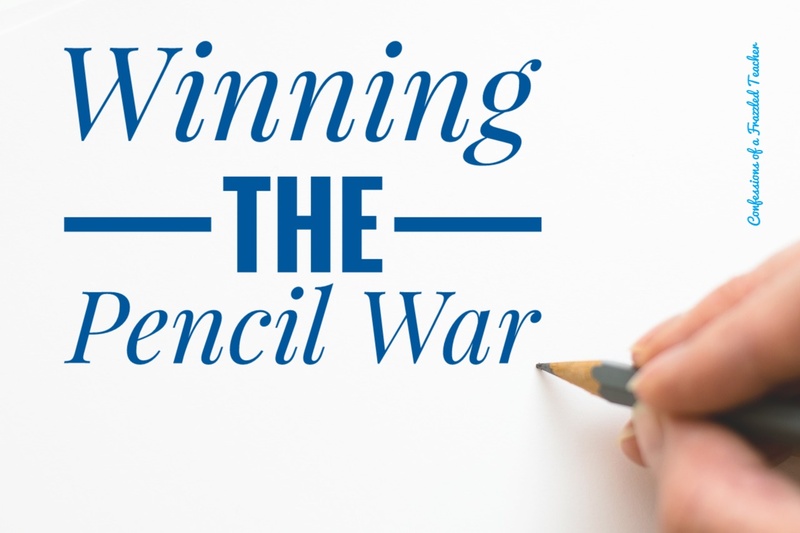 While it worked well the first month, most of my class stopped having all of their pencils. I have no idea how it went so wrong! I'm so glad it is working for you though!